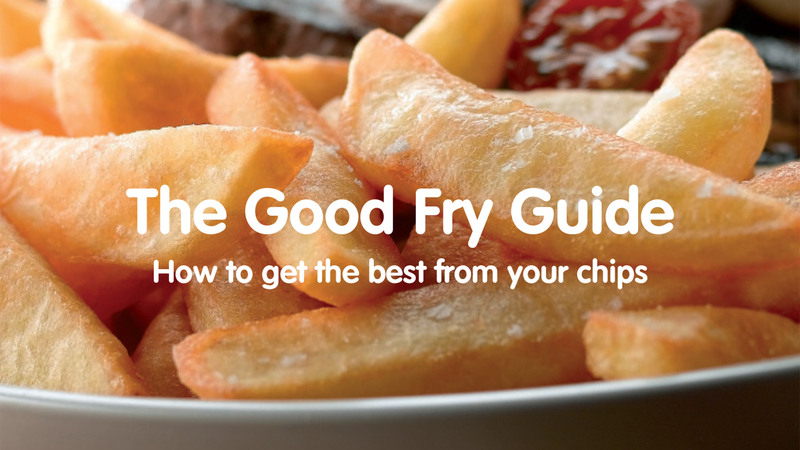 This 15-minute ‘Good Fry Guide’ DVD video was produced whilst working at Principles Agency to educate the catering trade in how to get the best they can from glorious McCain chips. It covers everything from how the potatoes are produced and how to store them to achieving optimum frying, presentation and profit. I wrote the script and attended the shoot. Look closely and you’ll see me giving a special delivery at around 4:50 mins. There’s nothing quite like the great British chip, and what could be simpler? After all, it’s just a potato, chopped and fried for a few minutes. Simple isn’t it? What could possibly go wrong with that? Well, it’s a little bit more difficult than that and people are a bit fussy when it comes to their chips. Everybody knows exactly how they should really look and taste. Gloriously golden, crisp on the outside and fluffy on the inside. Well, today I’m going to show exactly how to make the very best chips, just the way your customers like them, every time. I’m going to take you through the whole process from seed to farm to plate, showing you how they start life, then how to store, fry and serve. I’ll also be showing you that however tempting it may be, cutting corners can cost you dearly in the end. And you’ll be pleased to know I’ll be showing you that following the McCain guidelines can mean more profit for you.